“Standardizing Lightweight Deflectometer Modulus Measurements for Compaction Quality Assurance,” Transportation Pooled Fund Study TPF-5(285), 2014-2016 (PI). “Infrared Asphalt Repair Quality Assurance,” Maryland Industrial Partnership Program, 2014-2016 (PI). “Material Properties of Cold In-Place Recycled and Full Depth Reclamation Asphalt Concrete for Pavement Design,” National Cooperative Highway Research Program Project 9-51, 2012-2016 (PI). “Life Cycle Assessment of Carbon Emission Reductions from Foamed Stabilized Base,” Maryland Industrial Partnerships Program, 2012-2013 (PI)..
“Evaluation of LTPP Climatic Data for Use in MEPDG Calibration and Other Pavement Analyses,” Federal Highway Administration, 2011-2014 (PI). “Design and Evaluation of Foamed Asphalt Base Materials,” Maryland State Highway Administration, 2009-2012 (PI). Use of Radio Frequency Identification (RFID) Tags in Hot Mix Asphalt Production, Federal Highway Administration, 2006-2012 (PI). “Calibration of Rutting Models for HMA Structural and Mix Design,” National Cooperative Highway Research Program Project 9-30A, 2005-2012 (Co-PI). “Material Quality Assurance Risk Assessment,” Maryland State Highway Administration, 2010-2011 (Co-PI). “Sensitivity Evaluation of MEPDG Performance Prediction,” National Cooperative Highway Research Program Project 1-47, 2009-2011 (PI). “Cost Allocation Study for the Maryland Transportation Authority,” Maryland Transportation Authority, 2005-2007; 2010-2011 (Co-PI). 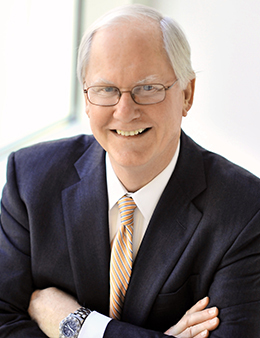 Timothy J. Regan, president and CEO of Whiting-Turner, will share insights gained during his career. Faculty, staff, and student involvment exemplified the theme "Transportation Innovation: Leading the Way in an Era of Rapid Change." NTC@Maryland to develop technology to deliver personalized, real-time travel information to users and incentivize energy-efficient travel. CEE to redesign virtual and physical infrastructure engineering laboratories. CEE Chair Charles W. Schwartz discussed the benefits of cold-recycled asphalt materials. University of Maryland professor will begin new role in early January.